That looks like the same stuff I used from Dollar Tree. Got the flex cord light 3/8" from DD so made some bigger ones. Lots softer but still tricky getting the sheet foam in to increase buoyancy so they suspend. Oops had wrong pic copied. I'm obsessed with finding BigDaddyO in the daytime. Frustrating. Nice. I posted this one up in the January flies. In this case I wrapped the foam around the hook and the mesh is sealed with sili skin and a light coat of UV resin. One way to build the foam body up is to tie strips of foam to the hook shank. 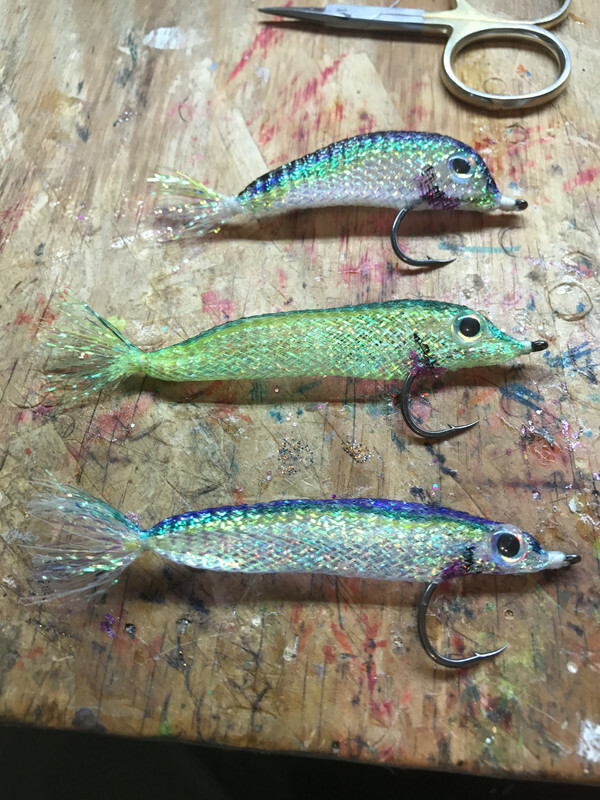 Or you can use a body similar to a crease fly since it will be under the tubing you can trim it to shape so you don't have that squared off look you get with the Crease fly. Another thing I do is to use a bit of super glue on the bottom. I'll either squeeze it with flat pliers or use a metal paper clamp to narrow the "belly" to give the body a tapered shape. I guess it also acts as a keel and keeps the fly floating horizontal. 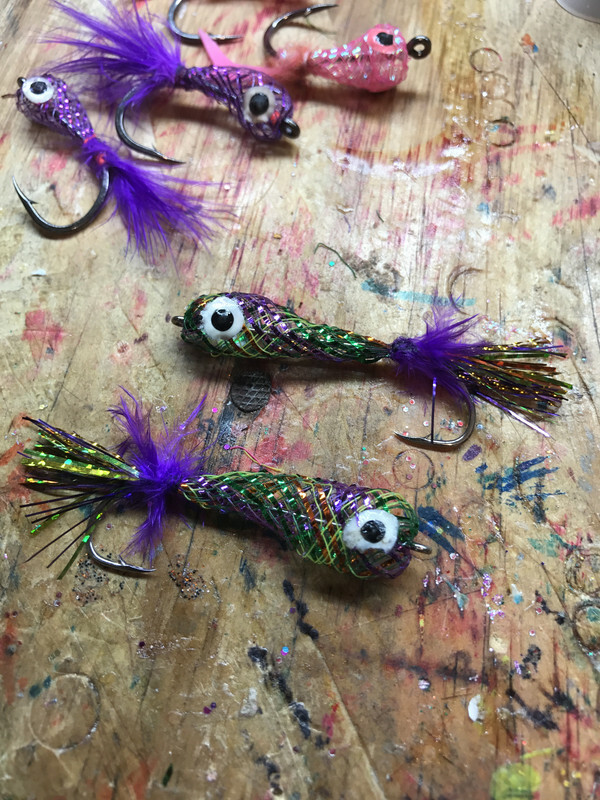 I also do the same thing with the foam on my Crease flies. Just use a thin super glue and clamp it and the glue is absorbed in the foam. I think you can see the taper on this one. Real nice stuff on this post denduke, and from December which I somehow missed. Great tip to use a tube for something to tie to.